I am angry. I am angry that contention about the LGBTQ community still exists within our country. I am angry that this contention materialized into North Carolina passing a bill, House Bill 2, that allows discrimination against anyone who does not identify as “straight”. I am angry that it has lasted as a law since March 23rd and has yet to be repealed. But most of all, I am angry that , my team, along with 79 others, now have to decide whether to travel to North Carolina or give up competing in the most important collegiate tournament of the season. This year, both D-I and D-III College Nationals, for men and women, are held in North Carolina; one of the two states in the country that has shown their biases towards the LGBTQ community so much that they have passed a law in favor of discrimination, in favor of hatred. This is a word that I have never, and would never like to, associate with the ultimate community, because ultimate means more to me than a couple of practices a week, and a tournament here and there. I pride myself on being an ultimate player. I love representing the sport; the spirit of the game, my teammates that have turned into my family, and the inclusiveness that is so evident on and off the field. Yet in the past month I have been considering what we, as the ultimate community, truly value. Inclusiveness? Competition? Respect? Or is it something else? Is it competing at any cost, even if the cost is putting our own teammates and friends at risk of being discriminated against? I am confident that a large majority of us would say no. But what about our governing bodies? Why is it that our largest governing body, USA Ultimate, has proven in the past couple weeks to hold other values higher than the protection and support of our fellow players? 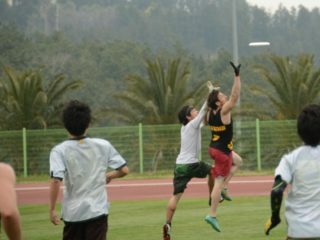 On March 31st USA Ultimate put out a statement on North Carolina’s new law, “House Bill 2…directly conflicts with the welcoming and inclusive environment USA Ultimate strives to cultivate for its members, athletes and fans,” yet later on they state that they have no intentions on moving any tournaments already set in North Carolina. While USA Ultimate may claim to not support this law, by holding Nationals within the state they are declaring that they do not have an issue with it either. No Public Service Announcement is going to change that. The organization that I, and every ultimate player who has ever participated in a sanctioned tournament, is forced to buy a membership to is standing idly by, pumping our money into North Carolina’s economy. 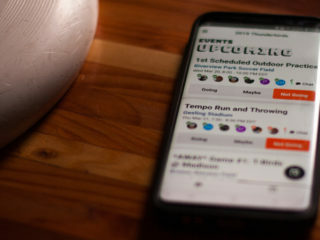 But USA Ultimate is not only asking us to simply travel to North Carolina, they are asking teams across the country to knowingly put our teammates in positions in which they will have to choose whether to abide by the law or their own choice of identity when going to the bathroom, our friends in positions that might get them kicked out of restaurants simply based on who they are, and our families in situations that might make them feel unsafe and uncomfortable. Not only will it place an undeniable psychological burden on players, but it has the potential to be a large monetary problem for teams as well. The states of Washington, New York, Vermont, and Minnesota, along with the cities of Portland, Santa Fe, Boston, Chicago, San Francisco, and Atlanta have begun to show their opposition to the discriminatory laws by banning funds for North Carolina travel. While I am happy to see that these places take action, their decisions have deeply affected the teams within their borders. I play on Chaos, Western Washington University’s women’s team, and we, as a state-funded institution, will receive no monetary support to travel to North Carolina. This has forced many of my teammates to consider whether or not they can take on the burden of a $80 per person bid fee, plane tickets, housing, and food costs. My teammates, all of which have worked endlessly the entire season to earn our current placement, deserve more than stressing about their bank accounts when thinking of Nationals. Ultimate means more to me than a monetary value could ever show. More than winning, more than competing at the highest level, more than success. It means safety. It means trust. It means family. It means openness. I will not throw my values and love for this sport out the window because our governing body does not see this. 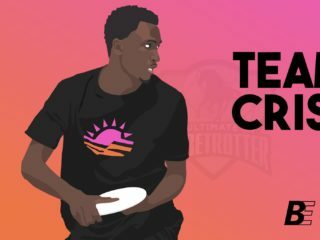 I am in opposition of House Bill 2, and I am in opposition of holding Nationals in North Carolina, but since USA Ultimate has made it very clear that they have no interest in moving Nationals out of North Carolina I am calling all teams to action in another way. This past weekend most of the bids for Nationals were decided. Eighty incredible and talented teams have proved their skills and secured their place among the best DI and DIII teams in the nation. At this time I urge teams to not get caught up in the excitement of Nationals, although I know this is hard to do. Please do not immediately assume that your entire team feels comfortable traveling to North Carolina in its current state. It is worth a discussion. Whatever your team decides, it should be a decision that comes from your whole team, with each player being allowed to speak openly and honestly about how they feel. After this discussion, if your team decides they would like to travel to North Carolina and do not support House Bill 2, please take the time and effort to look into which businesses openly oppose the law. Many teams have already taken steps in this direction. Claremont College, along with others, have begun to research which companies they are going to support in their travels. Please do not simply accept the placement of Nationals and travel without deliberate intentions. The LGBTQ community of North Carolina deserves your thought and consideration, because while we are simply traveling there for a weekend, they are living this reality day in and day out. I am not sure if my team is going to accept our bid to Nationals, but I am sure that our decision is going to start with a team discussion about what travelling to North Carolina means, and how we are going to do it right if we decide to compete.